USA Today bestselling author Gail Cleare has written for newspapers, magazines, Fortune 50 companies and AOL. Her award-winning ad agency represented the creators of the Teenage Mutant Ninja Turtles. She was the turtle Leonardo's date for the world premiere of the second TMNT movie, and got to wear a black evening gown and sparkly shoes. Gail lives on an 18th century farm in Massachusetts with her family and dogs, cats, chickens, black bears, blue herons, rushing streams and wide, windy skies. She's into organic gardening and nature photography, and can often be found stalking wild creatures with a 300 mm lens. In the final analysis, let’s face it, nothing sells as much as family. Whether it’s non-fiction books about creating better family relationships or history books venturing struggles between powerful families for control of entire nations, family drama is always selling somewhere. 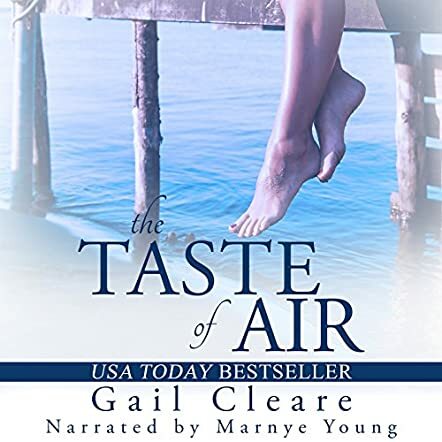 The Taste of Air by Gail Cleare is family drama on a scale a little smaller than kings and queens or great houses, but is just as interesting as the dramatic lives of the Tudors, the houses of York and Lancaster. I like tales about families, and I prefer they be multi-generational so we can get a glimpse of and compare the different generations. In The Taste of Air, we get to compare the two families now. It’s hard to imagine being in this situation, although it is fun to imagine, but maybe it's not so much fun in reality. I liked the plot and characters in The Taste of Air, more than other elements like the setting, though it is always interesting to read about places I have lived and worked. I liked Nell Williams. I think she is a good daughter and she took me deeper and deeper into the story emotionally and literally. I also found myself liking Mary and Bridgett too. Again, Gail Cleare does character and plot very well, especially female characters. The plot is built around family secrets and it works very well indeed. I liked the story. I liked the characters. Gail Cleare is a writer to watch out for. All she needs is a breakout novel. This just might be it.